Happy Friday! Who doesn't love the arrival of the weekend, especially when it's a long one! It's also a winter weekend which means it is a perfect time to wrap yourself up in the loveliness of winter white. This cozy turtleneck is so soft and comfy and looks so casually cute paired with your favorite black leggings and pretty riding boots (love these!). 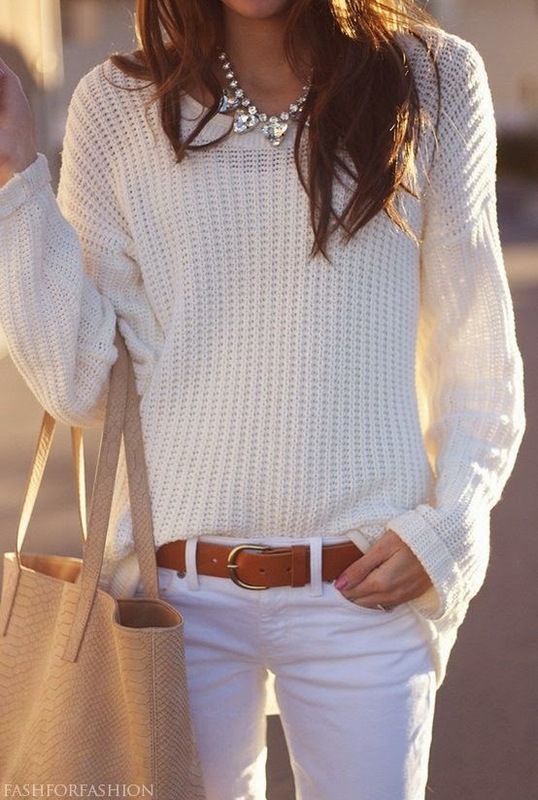 White denim can happen during the coldest months. I just always take care to reach for the heavier weight fabrics and save the lighter ones for spring and summer. These J. Crew skinnies pair well with a thick cream sweater or fun faux fur vest. I also love them worn with a camel cape like this one or a gorgeous candy colored topper. The possibilities are just endless when it comes to this neutral hue. I hope you all have something wonderful planned for your weekend. Enjoy your me time!